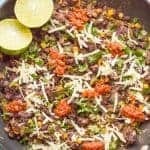 Butternut squash black bean quinoa burgers are a hearty vegan burger with tex-mex spices and big flavor! 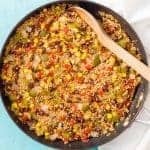 Great for a meatless Monday meal! But then Monday morning and the real world comes charging in and you feel a little less enthused? Well, that’s me today, friends. We took boat rides with my dad (including boating to lunch, which I love), took the kiddos and the dog to the beach to run and play, and I also got to go shopping downtown with my mom one afternoon. 🛍 She and I rarely get away on our own, so that was so fabulous. Still, lookout out at a Monday morning of a full and busy work week and getting back to school and schedules… well, I’m just trying to grin and bear it and fake it till I make it. So today I’m bringing you a super yummy veggie burger. Cause you know I LOVE me a veggie burger! 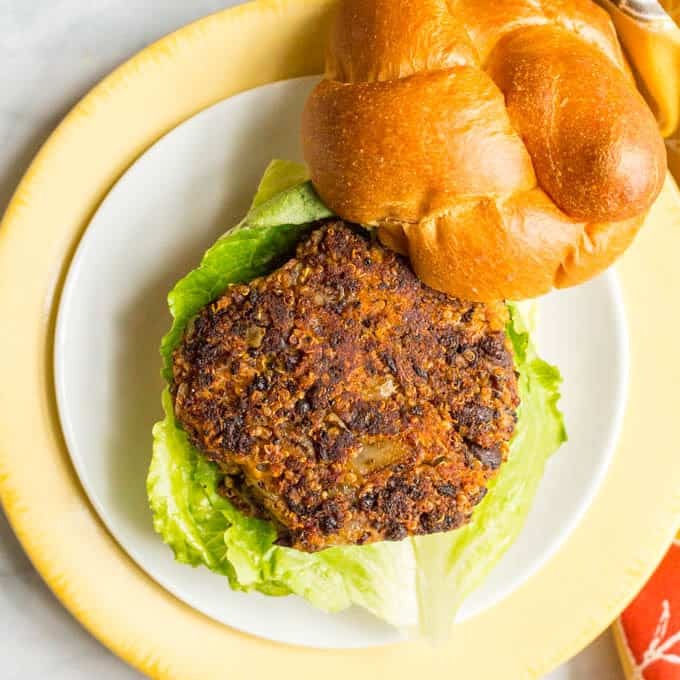 I’ve made you my veggie-packed veggie burgers, my black-eyed peas burgers that are great for New Years (though I do recommend some form of bacon with these) as well as my simplified veggie burgers that have just a few ingredients. And I’ve also got a veggie burger scramble for when I’m feeling too lazy to make patties! 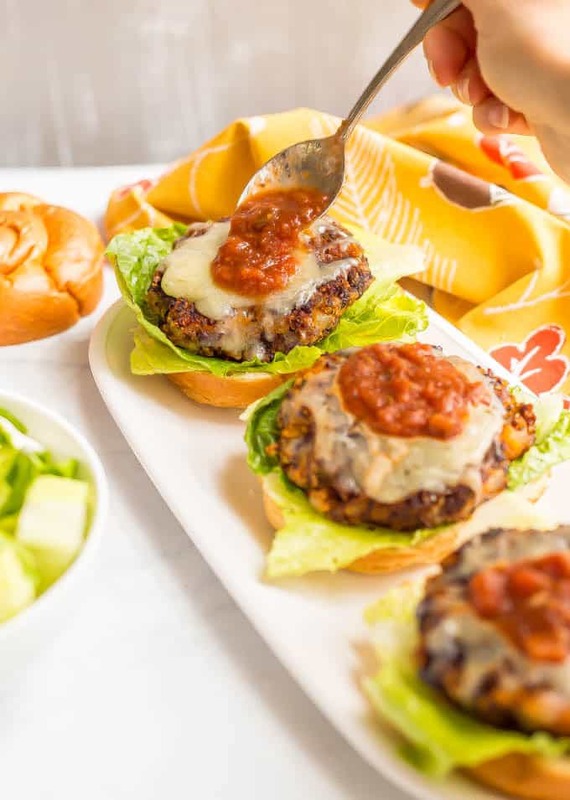 And today I’ve got these butternut squash black bean quinoa burgers that are LOADED with flavor! 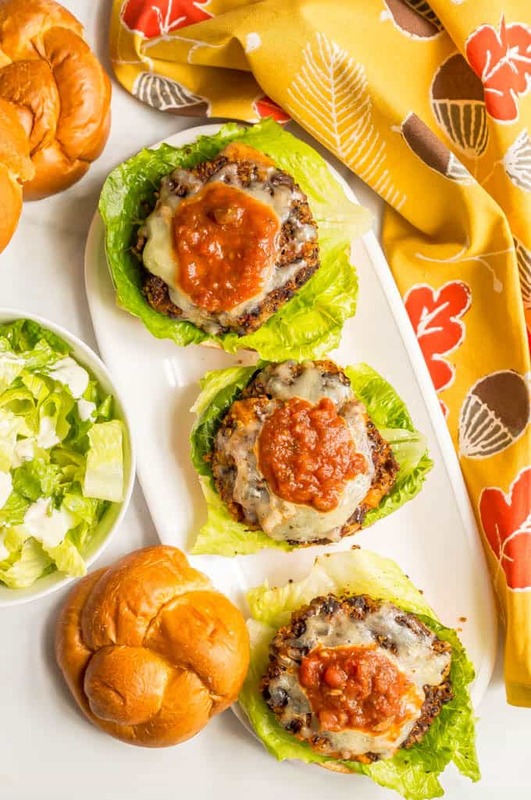 The quinoa and butternut squash need to be cooked ahead for these burgers so plan accordingly. 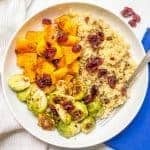 To cook your butternut squash, I cut it into equal-sized cubes, toss with a couple of teaspoons of extra-virgin olive oil and some salt and pepper and roast at 400 for about 30 minutes, until tender. Let cool then measure out 1 1/2 cups for this recipe. I do not recommend using frozen pureed butternut squash for this recipe – it has too much liquid. I use both hands to flip these burgers and they always stay together for me that way. I use the spatula with one hand and use my other hand to help guide the burger back to the pan. If yours do fall apart a little, just use the spatula and your hand to press it back together in the pan. You can substitute some cayenne for the black pepper if you want a spicy veggie burger. I love serving these butternut squash black bean quinoa burgers with some paprika roasted potatoes and a simple spinach salad. Dinner is served! 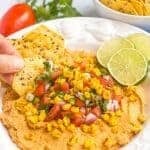 I hope you give these a try for your next meatless Monday – I think you’ll love the flavors! Enjoy and have a wonderful week, whether you need to fake it or not! 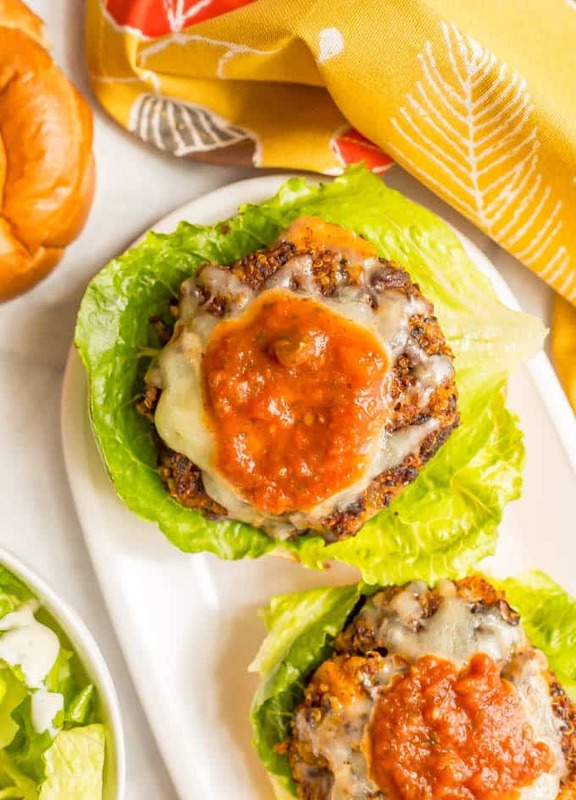 Butternut squash black bean quinoa burgers are a hearty vegan burger with tex-mex spices and big flavor! 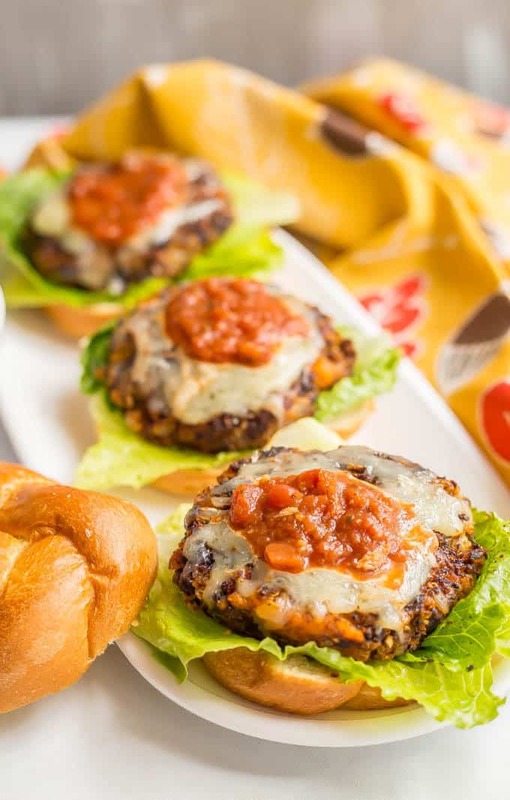 burger buns, cheese, salsa, avocado or any other favorite burger toppings! Add onion and jalapeño and cook for 3-4 minutes, until tender. Add garlic and spices and cook for another 30 seconds. Transfer onion mixture to a large bowl. Add remaining ingredients and mix until just combined. Shape into 6 equal sized burger patties, about 1/2 inch thick. Heat the same pan over medium high and add remaining olive oil to the pan. To cook your butternut squash, I cut it into equal-sized cubes, toss with a couple of teaspoons of extra-virgin olive oil and salt and pepper and roast at 400 for about 30 minutes, until tender. 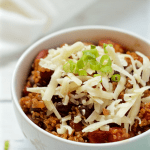 Let cool then measure out 1 1/2 cups for this recipe. 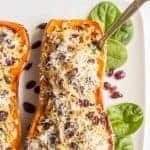 I do not recommend using frozen pureed butternut squash for this recipe - it has too much liquid. You can substitute some cayenne for the black pepper if you want a spicier burger. 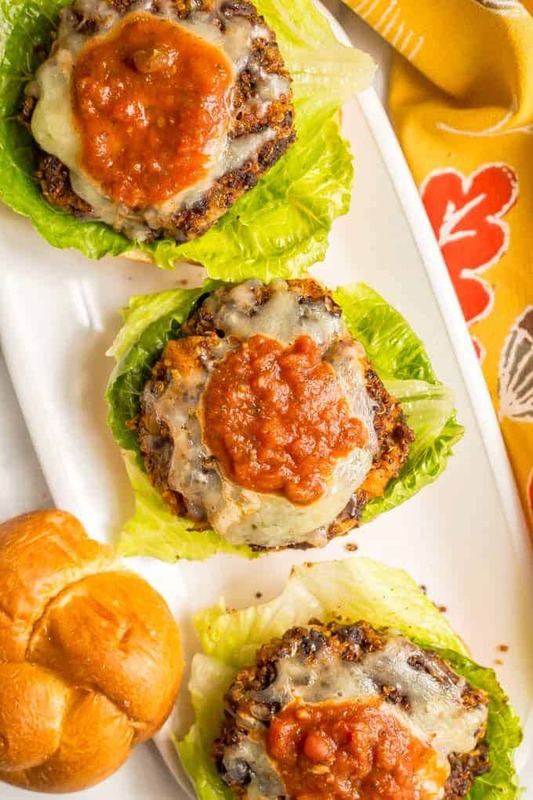 If you want to top these burgers with cheese, I recommend adding it after you flip the burger so it can melt over the top as the burgers finish cooking. You can cover the pan during the final minute of cooking if you want the cheese to get extra melty. These sound awesome! 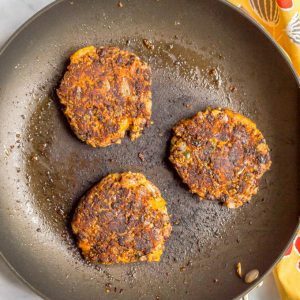 I have some sweet potato bean burgers I love to make but haven’t used butternut squash. Definitely pinning! Thanks Kelly! It’s a great way to switch things up! These look simply amazing! 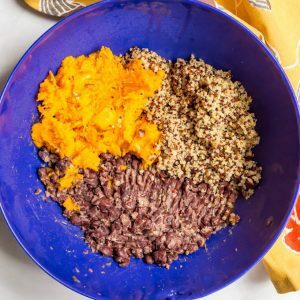 Love the inclusion of butternut squash in the traditional black bean patty, such a great addition! Thanks Luci! I think they go so well together! YUM! These burgers look so delicious!